With over twenty years of providing excellent dental treatments, you can count Dr. James Ciancarelli among that fantastic class of people. Dr. Ciancarelli has established an amazing reputation in Long Island as one of the area’s leading cosmetic dentists. Graduating from Queens College New York with an honors degree in chemistry, Dr. Ciancarelli realized that dentistry was his calling. In 1981, he received a dental degree from the University of Pennslyvania. From there, he completed a two year general practice residency at Brookdale University that he completed in 1983. A member of the american dental association, Dr. Ciancarelli is also involved with the New York Dental Association and American Academy of Cosmetic Dentistry. These accreditations allow him to offer a vast array of dental plans that has transformed thousands of patients’ lives. An acclaimed dentist, Dr. Ciancarelli’s dental practice is located in Valley Stream. It isn’t rare for people from outside of the Long Island area to travel to his office to obtain his acclaimed service. 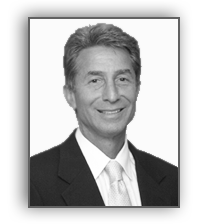 In addition to his thriving dental practice, Dr. Ciancarelli is a sought after instructor. He currently acts as instructor at the “Aesthetic Advantage” in New York and Palm Beach, Florida. While he has comfortably reached the pinnacle of his profession years ago, Dr. Ciancarelli is never satisfied. He and his team of highly qualified dental assistants are dedicated to increasing their knowledge by continuing to take education courses on the latest dental care treatments each year. It is this commitment to excellence that sets Dr. Ciancarelli apart from his competitors. His dental offices are filled with the latest dental equipment and his dental team is constantly updating their existing dental care treatments. His dedication to innovation means that Dr. Ciancarelli offers such popular and modern cosmetic dental treatments like Invisalign invisible braces. He also offers standard dental care treatments like dental veneers and teeth whitening that he ensures are among the most modern offered in the Long Area area.